Looking for something astounding and refreshingly unique to make a special day even more so! 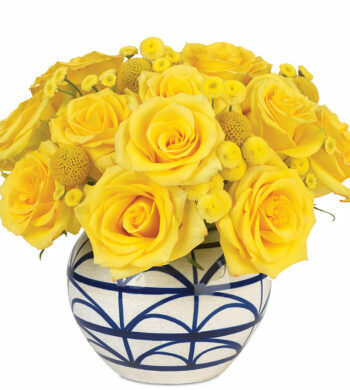 As charismatic and colorful as they come, this lovely bouquet is a treat for a friend, collogue (or you!) 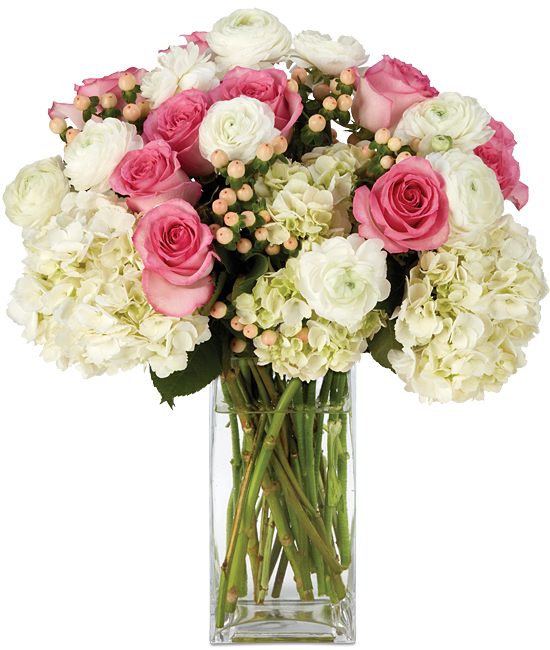 to a mix of white hydrangea, luxury pink roses, peach hypericum berries, and white ranunculus. Sure to have everyone dishing out lots of compliments, the gathering looks idyllic in our clear signature glass vase.